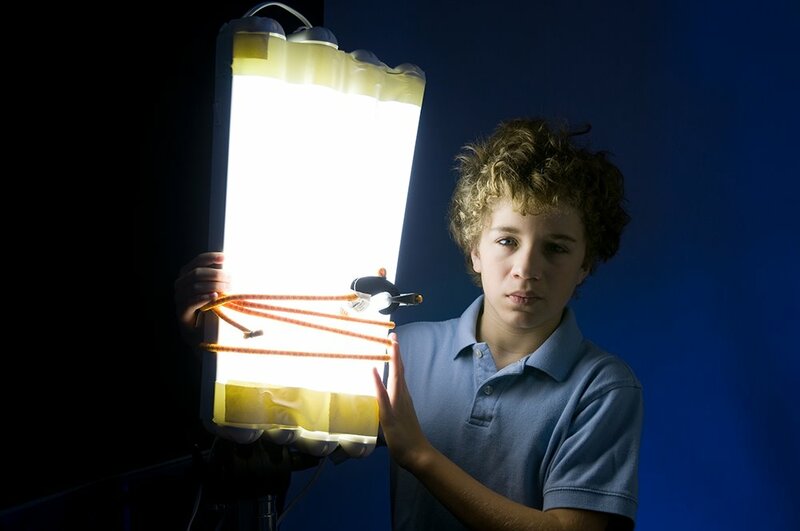 The Visual Science Lab / Kirk Tuck: Homemade soft lights for almost every purpose. Homemade soft lights for almost every purpose. It's a great way to practice your custom white balancing skills. Thanks to the ease of color balancing and noiseless ISOs with digital cameras these days, lighting is undergoing a revolution. I use COSTCO $20 flashlights that put out 1,000 lumens each and have an adjustable beam that goes from wide to narrow. The portability is amazing and the hard light isn't bothersome at all. Were they battery powered lights, or did you plug-in each one? Hey cfw, we plugged them all into the wall.